The Buettemeyer family is feeling a little under the weather today. Buddy woke up coughing and is already back asleep, Bryan woke up with a sore throat but trudged in to work anyways... and i have a headache... and just generally don't feel well. So I am taking that to mean no chores today, lazy day at home... and lucky for me there is a "cake" marathon on tlc today, complete with dc cupcakes, fabulous cakes and cake boss. So we will be good to go. 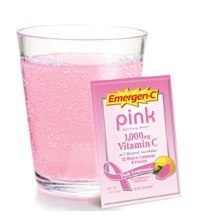 Hopefully with a little emergen-c (my mother in law swears by this stuff) we will be in tip top shape tomorrow. On another note, we had a fabulous weekend. Saturday we got up early and took my car to get the oil changed, and went to the associates store. We got some good deals! Then we ran a few more errands and then Bryan had to go shoot a wedding. G-ma came to get Hudson and I got to go shopping with my Christmas gift cards (finally!) and with my valentines day money (from my sweet hubby!). I went to Pier One and got new table settings for our kitchen table, I was so ready for spring stuff! I am obsessed with these napkin rings! So cute! Then we went out to eat with our friends, the Waggoners, at PF Changs. It was a fun date night! Sunday we got up and went to church, ate steak salad with B's family and came home to rest. Well, sorta. I went out and ran 4 miles at the trail and then started cooking dinner. We had our friends Sam and Richard and Mitch and Sarah over for dinner and to play games. I made Rachael Ray's spinach and artichoke mac and cheese. It was SO good. Then we played a 3 hour game of Monopoly. Fun night! I have another new and easy lunch recipe to share. We LOVE avocado and so I have been making us wraps with avocado and turkey. Spread cheese and avocado on tortilla and then place sliced turkey, roll and heat on skillet. So easy, healthy and yummy! That's it for now. I'm going back to the TLC Cake Marathon for now... Happy Monday Everyone. ohh yummy! i made your spaghetti squash recipe a couple days ago and loved it. this one looks good too! i'll have to try it. also the napkin rings are very cute!